The sun and surf of Dana Point, located in southern Orange County, CA, where people’s smiles shine as brightly as the sun. Finding a Dana Point dentist to perfect that dazzling smile is a necessity, and the Art of Dentistry Institute is happy to provide one to you. 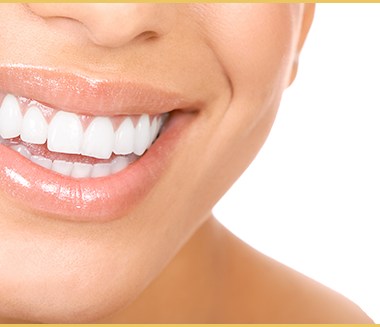 With a full suite of general dentistry and cosmetic dentistry services at our disposal, we are at your service! Visit our office and receive first-rate care and comfort from Dr. Emil Hawary, an Accredited Fellow of the AACD and award-winning dentist for smile makeovers. 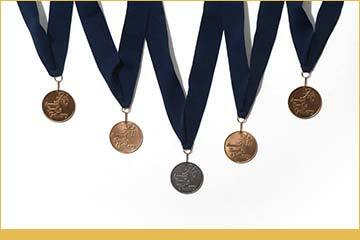 The Art of Dentistry Institute provides service with a smile. Helping you feel comfortable and at ease is our specialty, and more — it is our passion. Dr. Emil Hawary, the top Dana Point dentist in the Orange County and Irvine areas, founded the Art of Dentistry Institute with the goal of bringing an attentive, comforting level of care to every dental procedure — from the simplest examination to learn your needs to the most complex full mouth reconstruction. Your needs for a bright, flawless smile matters to us. The Art of Dentistry Institute specializes in age-defying cosmetic dentistry that rejuvenates the appearance. In addition to restoring and brightening your smile, our work can return your facial structure to look more youthful, granting you many more years’ worth of smiles to those you meet. What does your smile need? Our general and cosmetic services help you achieve a perfect smile and a more youthful appearance. We offer dental implants to replace missing teeth, helping to avoid tooth decay, as well as Invisalign to help correct — and perfect — your stunning smile. The Art of Dentistry Institute also offers orthodontic, periodontic, and oral surgery services at our office to provide you with a single convenient location when you’re in need of a dentist in Dana Point. 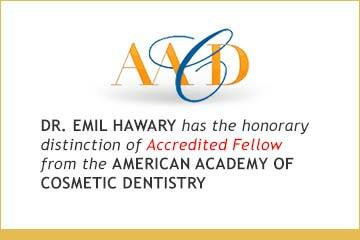 Dr. Hawary is the only dentist in the Irvine and Orange County area to have achieved Accredited Fellow status with the American Academy of Cosmetic Dentistry (AACD). His commitment to excellence in performing smile makeovers has earned him numerous accolades featured in the AACD’s Smile Gallery competitions. See his work for yourself at our own Smile Gallery. Don’t you deserve an amazing smile? 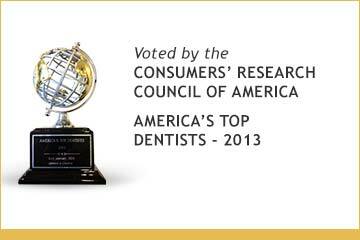 Then contact an amazing dentist in Dana Point, CA at the Art of Dentistry Institute. Dr. Hawary and the rest of our talented staff would love to learn more about what your smile needs to shine its best and brightest.